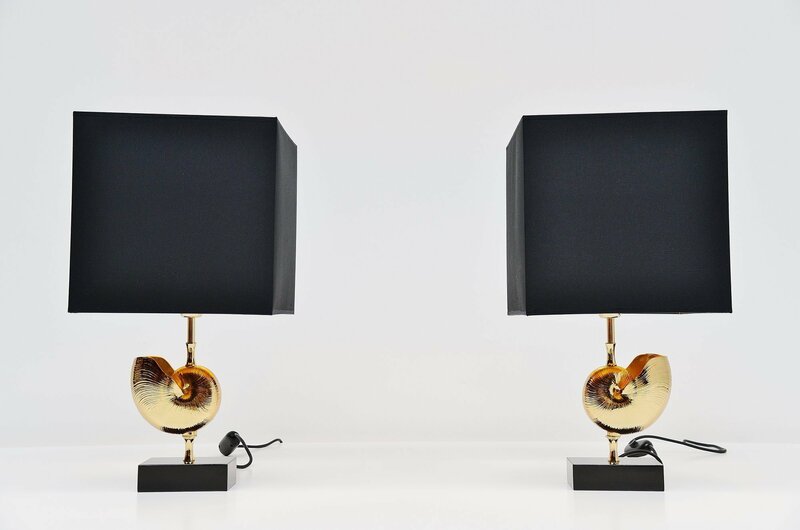 Very nice pair of shell shaped table lamps designed and manufactured by Maison Charles, France 1970. 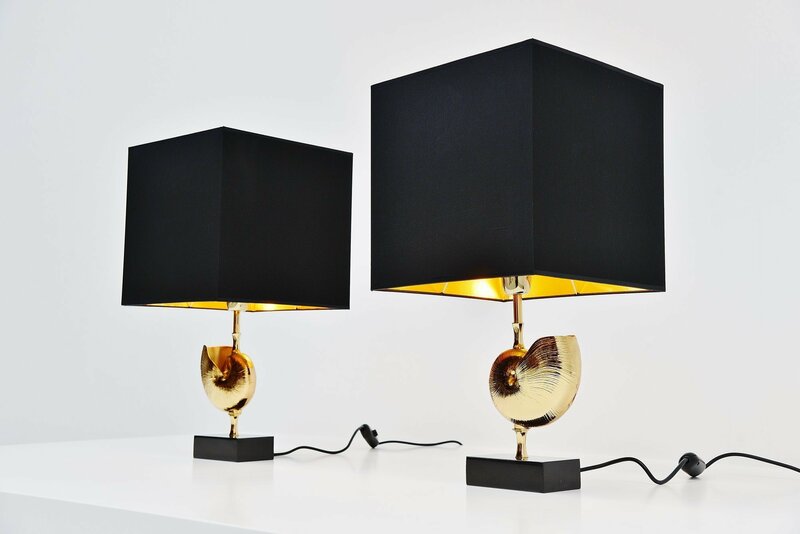 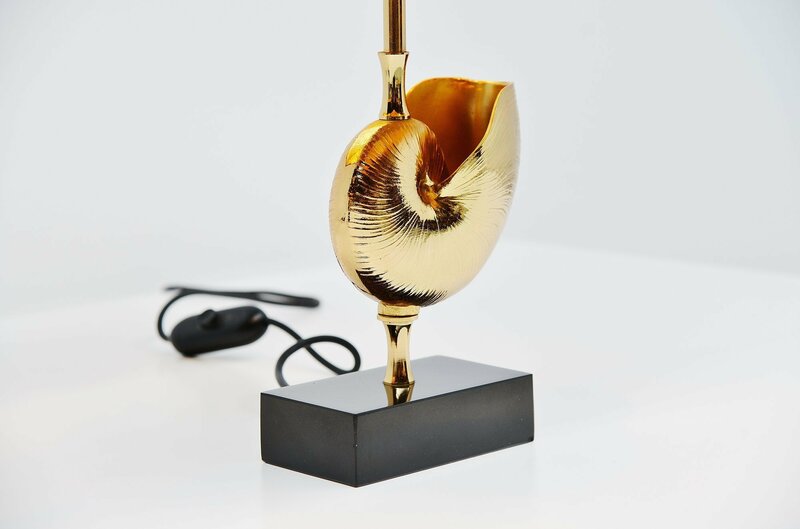 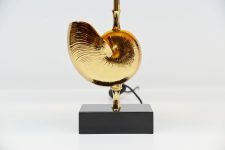 These table lamps have a solid black stone base and a brass shell shaped center. 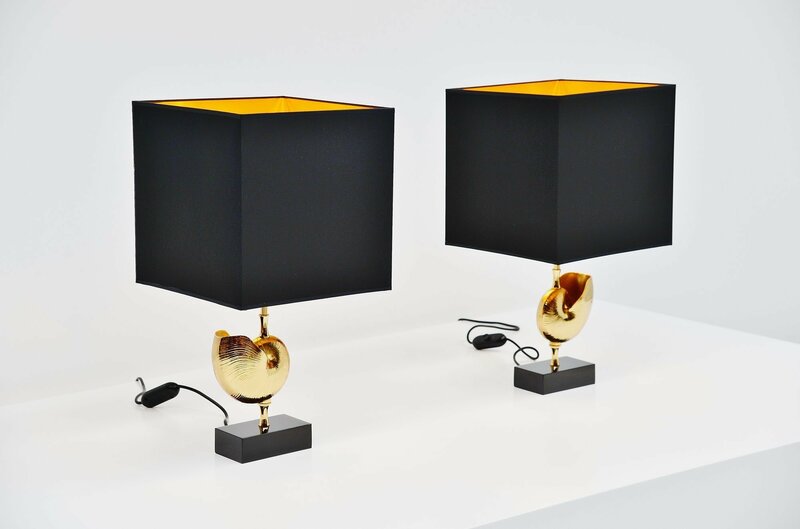 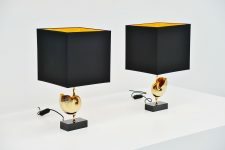 The lamps have a new made shades in black and with a golden inside. 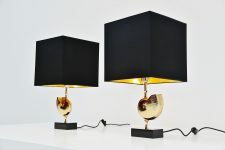 Give very nice warm light when lit. 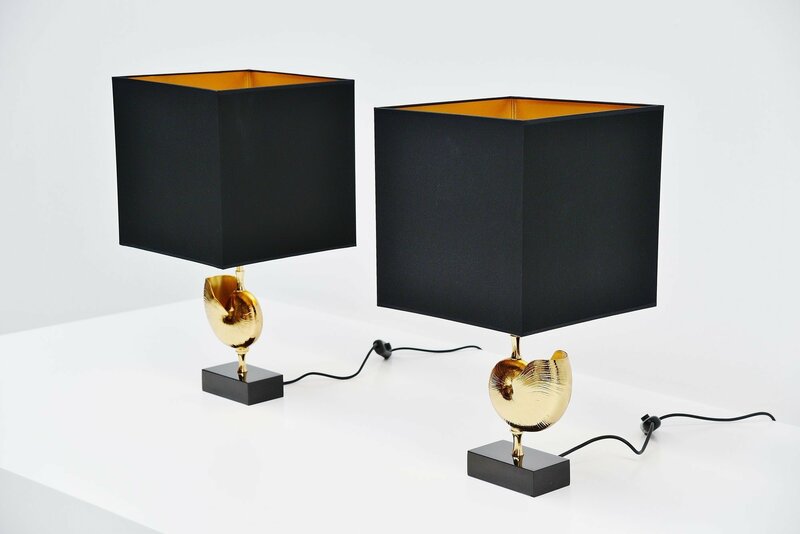 Very nice pair of lamps that give warm light when lit. Lamps use an E27 bulb up to 100 watt.